Here’s a new extension with high-quality photos of old and new Marvel comic characters. Marvel Comics is the common name and primary imprint of Marvel Worldwide Inc., formerly Marvel Publishing, Inc. and Marvel Comics Group, a publisher of American comic books and related media. 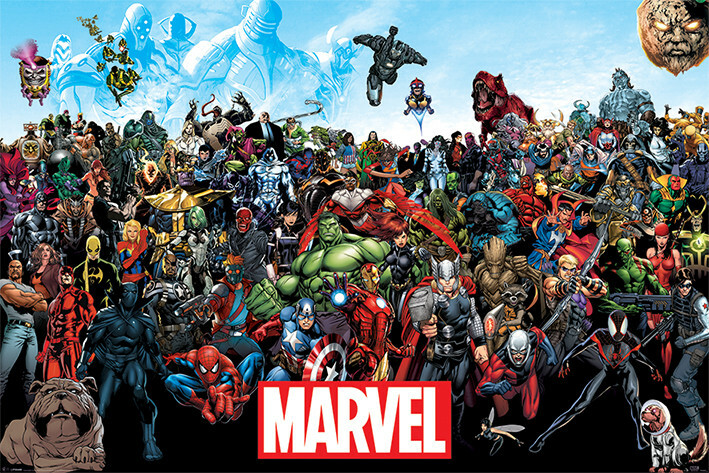 In 2009, The Walt Disney Company acquired Marvel Entertainment, Marvel Worldwide’s parent company. Marvel started in 1939 as Timely Publications, and by the early 1950s, had generally become known as Atlas Comics. The Marvel branding began in 1961, the year that the company launched The Fantastic Four and other superhero titles created by Stan Lee, Jack Kirby, Steve Ditko, and many others. Marvel counts among its characters such well-known superheroes as Captain America, Iron Man, Thor, Spider-Man, Wolverine, the Hulk, Daredevil, Ghost Rider, Dr. Strange, Punisher, and such teams as the Avengers, the X-Men and the Fantastic Four, and antagonists including Doctor Doom, the Red Skull, the Green Goblin, Thanos, Ultron, Doctor Octopus, Magneto, Venom, and Loki. 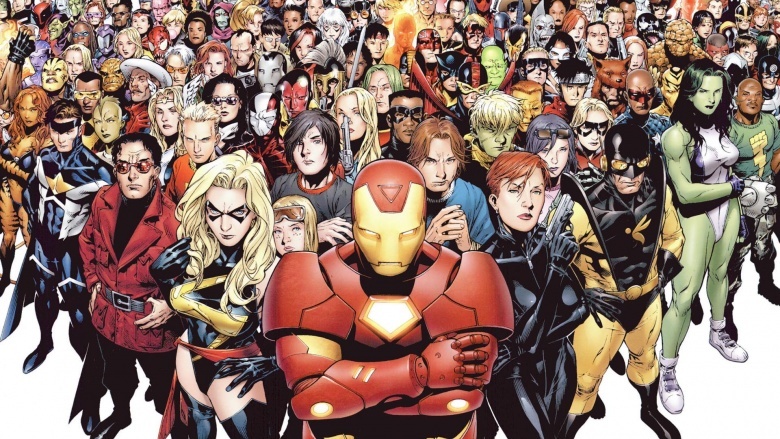 Most of Marvel’s fictional characters operate in a single reality known as the Marvel Universe, with most locations mirroring real-life places; many major characters are based in New York City. In a 1996 DC/Marvel Comics crossover, Quicksilver challenged the Flash (WallyWest) to a race and lost. In the Marvel Universe, the cleanup from major battles is handled by Damage Control, a joint venture of Tony Stark and the Kingpin. They even had their own series in the late 80’s. Mr. Immortal is a superhero who exists in the Marvel universe with no special powers except immortality. He has been killed in ways including crushing, burning, self-impalement on giant novelty scissors, bear trap, cannon, chainsaw, piranhas, ferrets, spear, and python. There is an issue called The Punisher Kills the Marvel Universe, where he kills every single Marvel superhero and villain, including himself.